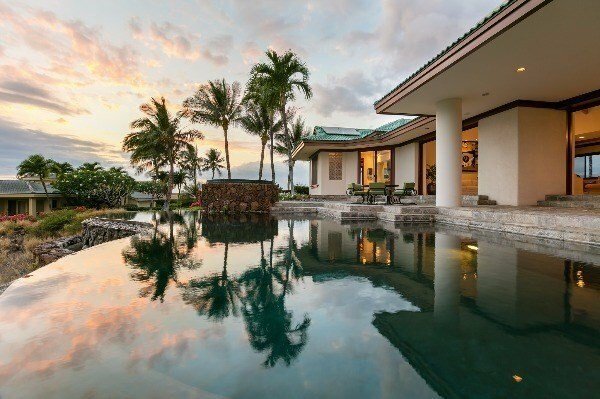 The privilege of experiencing life at the Mauna Kea Beach Resort is reserved only to a few in the entire world. 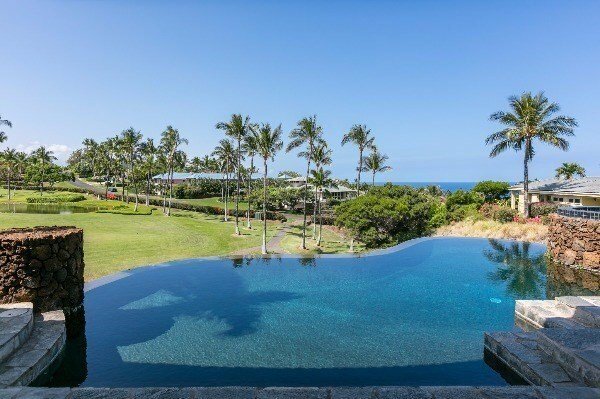 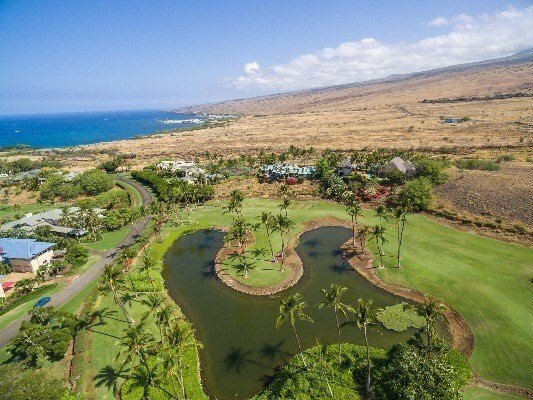 It is considered by many to be the premiere resort on the Island of Hawaii w/a beach that is universally recognized as one of the 10 best in the world; the prestige of this Kohala Coast address is compelling. 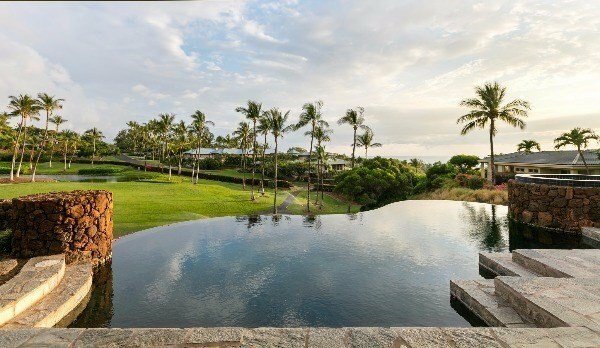 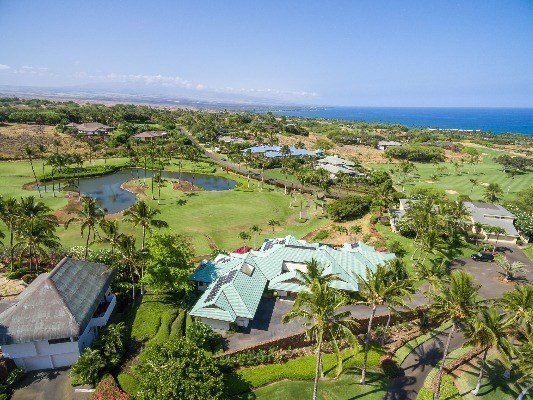 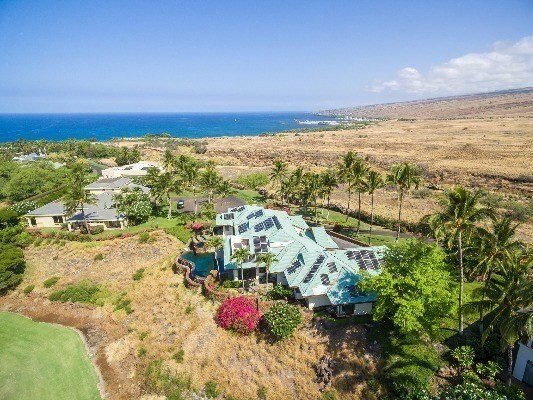 Kohala is the north and south west coasts of the island of Hawaii aka the Gold Coast w/world class beaches, resorts and golf courses, 4-star hotels and some of the most expensive real estate in Hawaii. 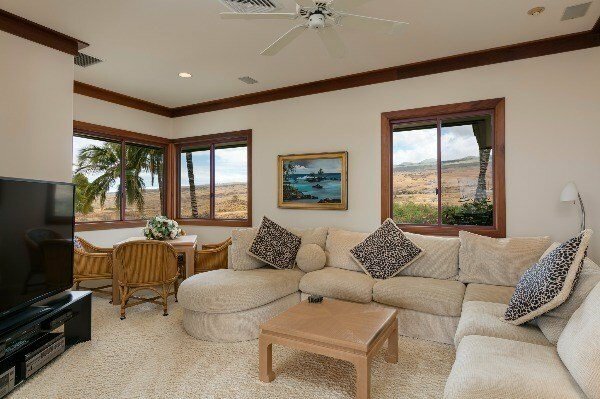 The home sits on an elevated lot overlooking a large park w/a pond, views of the southern coastline to Kailua Kona and north to Kawaihae Harbor and Maui. 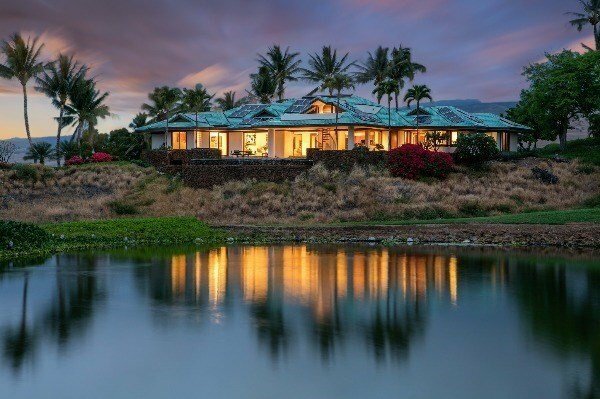 The home is surrounded by the majestic mountains of Mauna Kea, Kohala, Mauna Loa and Hualalai. 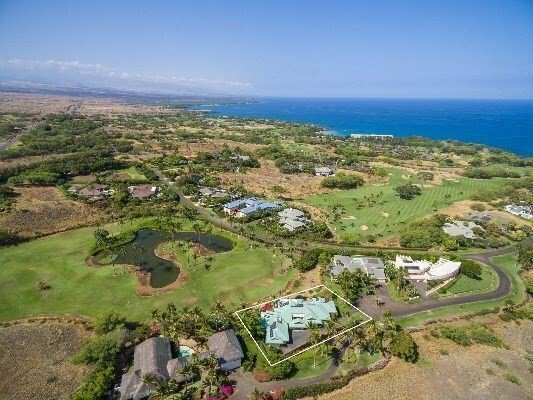 Year-round sunsets and the short distance to the famed Mauna Kea Beach w/ocean sports, oceanside tennis courts and superb golf is included. 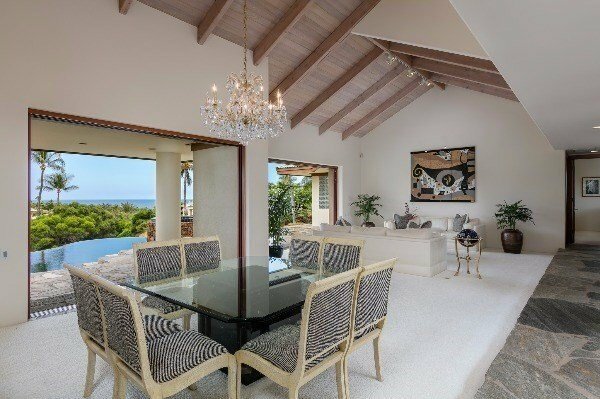 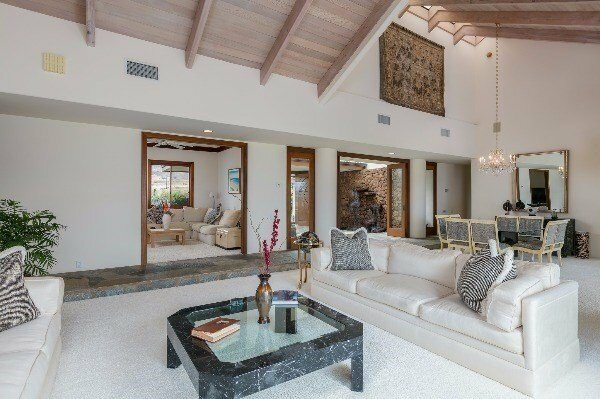 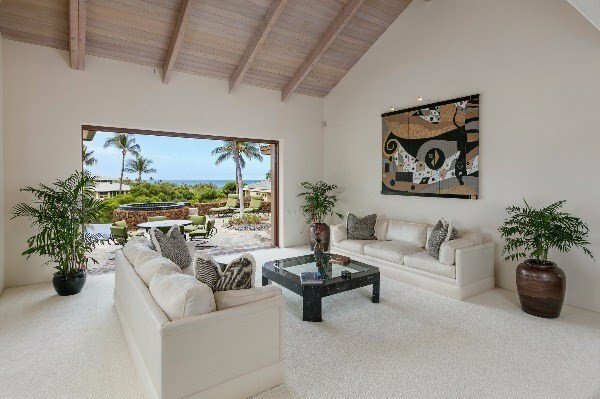 The Lucky Bennett designed home is meticulous with modern, contemporary, clean lined architecture, living spaces opening to the large lanai, pool and spa. 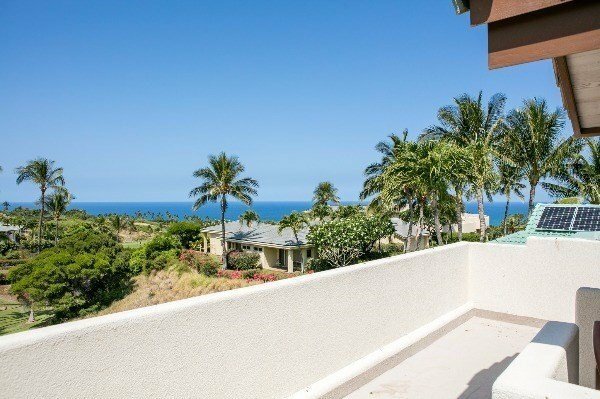 From the lanai, you can ascend an easy spiral staircase to a landing for private sunbathing, whale watching or sunsets. 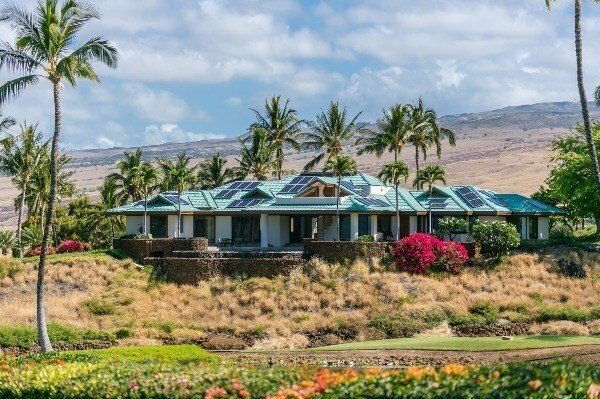 The home has a full photo voltaic solar system which substantially reduces energy costs; a huge benefit to a luxury property of this nature. 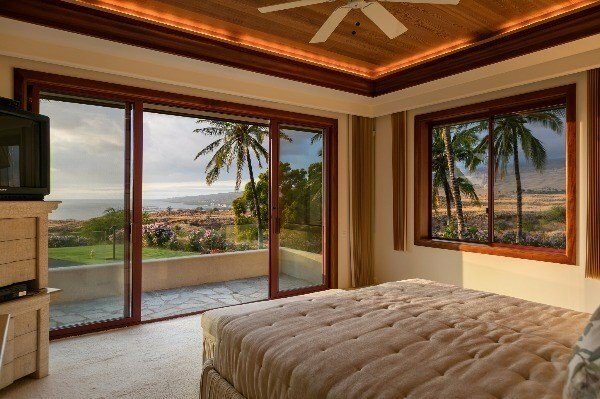 The master bedroom suite w/sitting area faces the ocean, the night lights of Kawaihae Harbor and Maui. 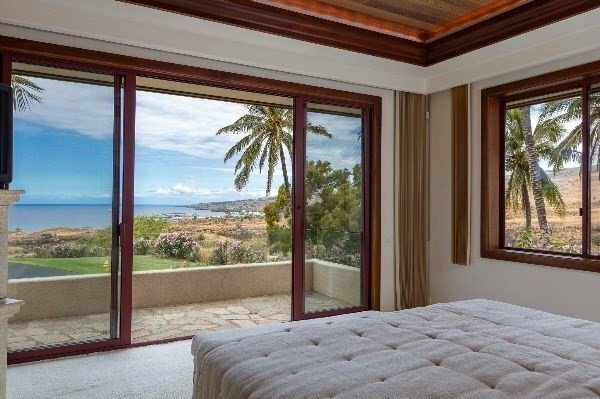 The additional two bedrooms are private ensuites. 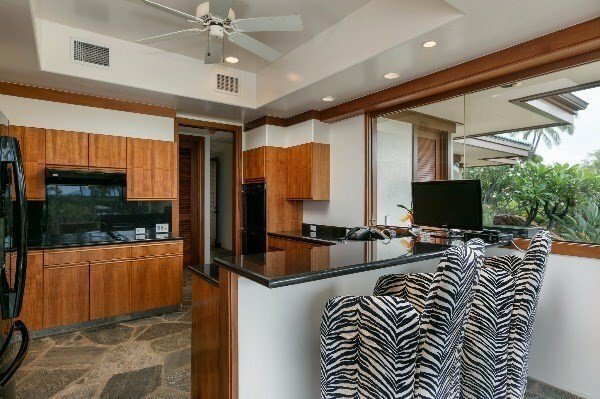 The kitchen w/Koa cabinetry is efficient and opens to the lanai for entertaining. 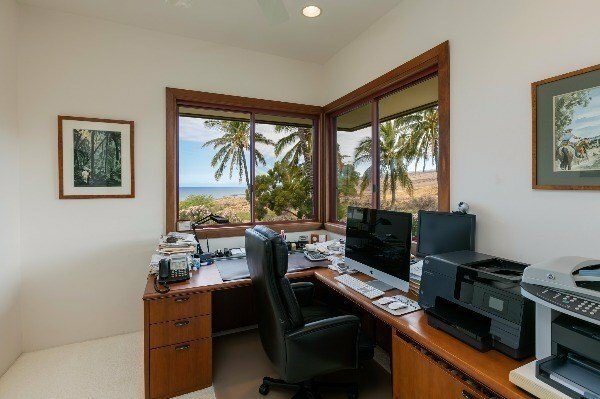 There is a large media room w/ocean and mountain views as well as an executive office w/one of the best ocean views in the house. 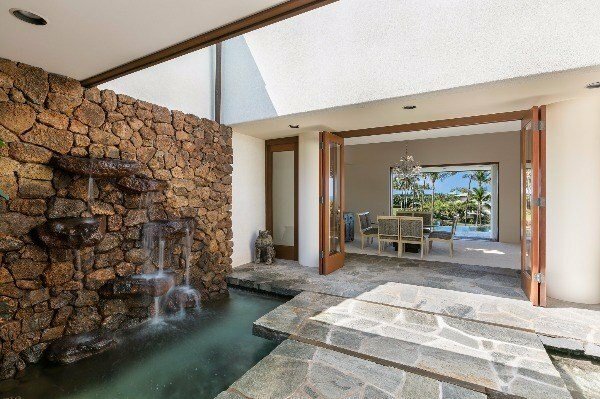 The gated courtyard has a beautiful water fall feature and ponds. 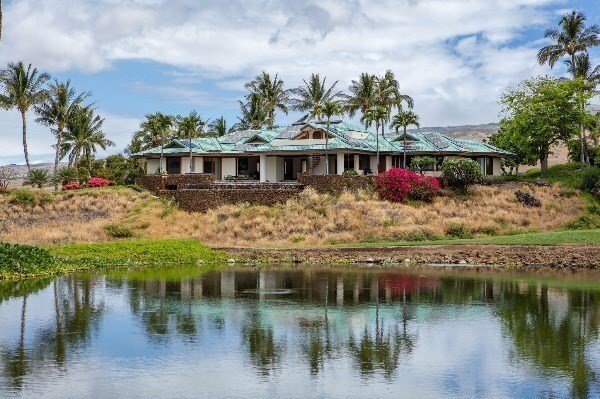 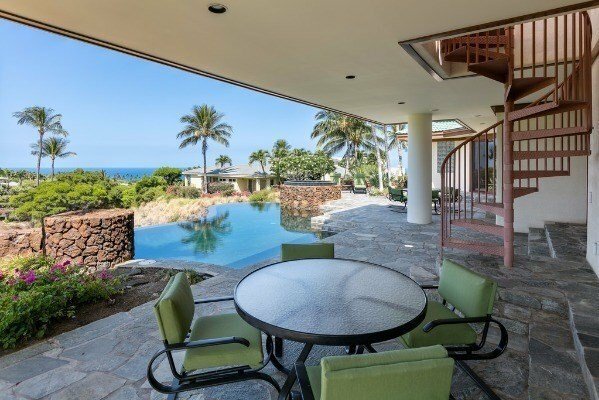 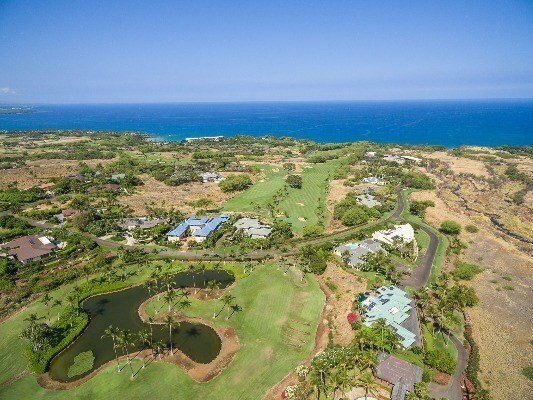 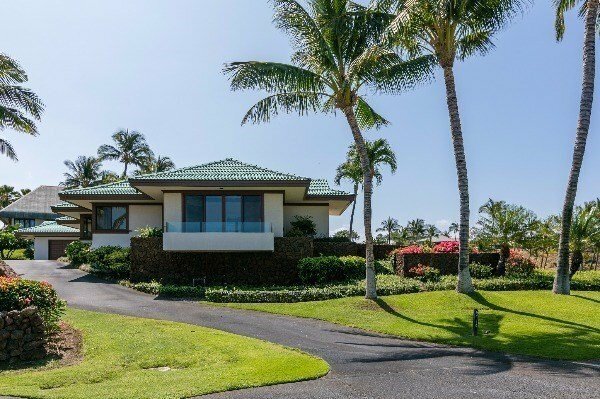 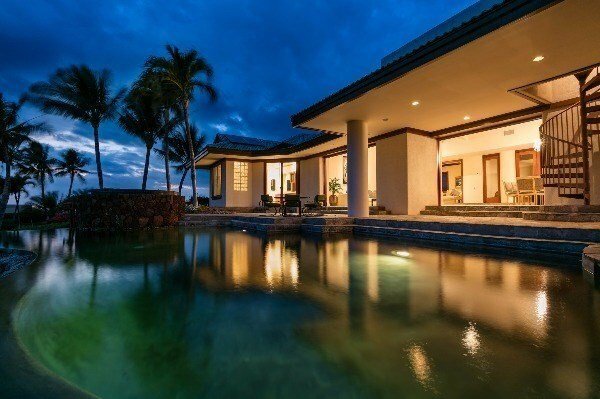 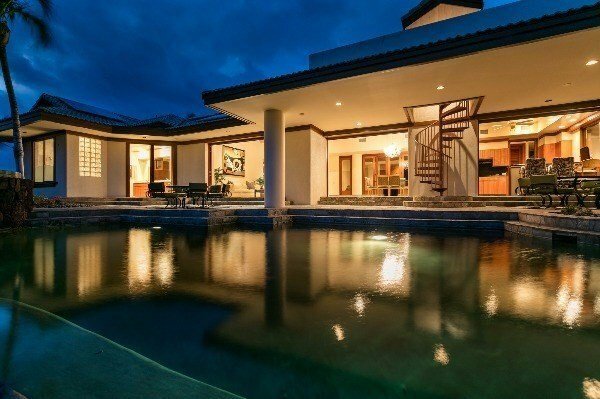 Currently the least expensive 3 bedroom For Sale in the Mauna Kea Fairways North on a square foot basis, this property was priced well over $4 million until only recently; a true value in one of the most beautiful spots in Hawaii.